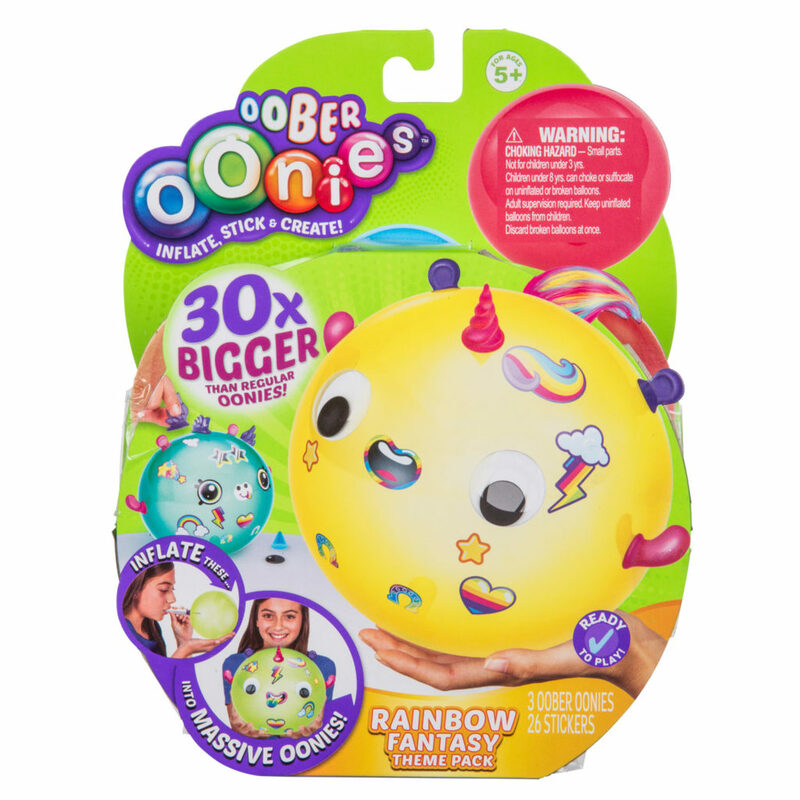 Oober Oonies are small pellets that inflate into MASSIVE Oonies and can be used over and over again! 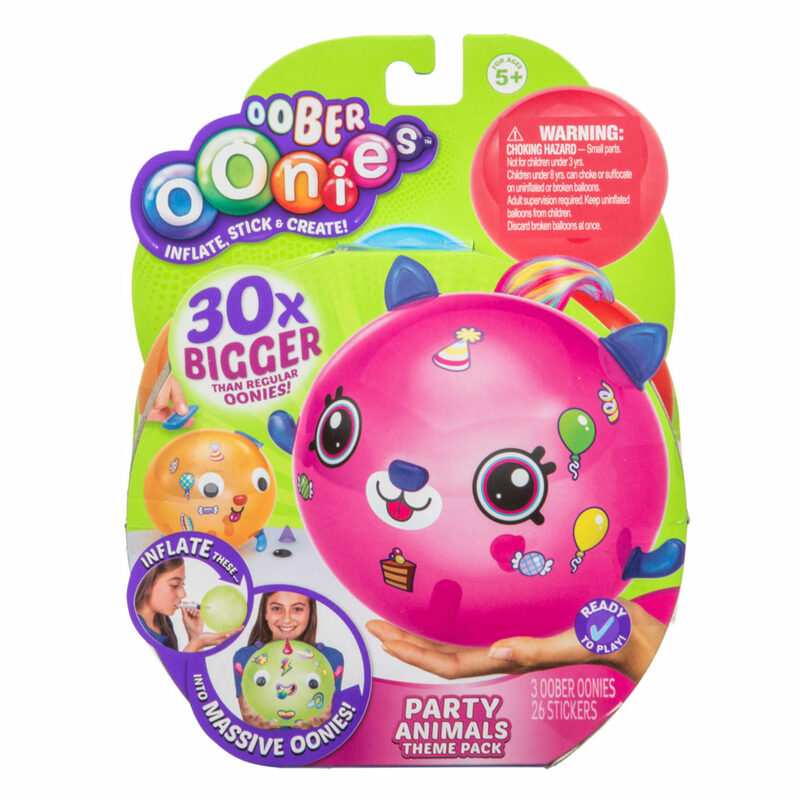 Inflate, stick and create using the new PARTY ANIMALS Theme Pack with stick 'n' style accessories that create the craziest party animals you can imagine. 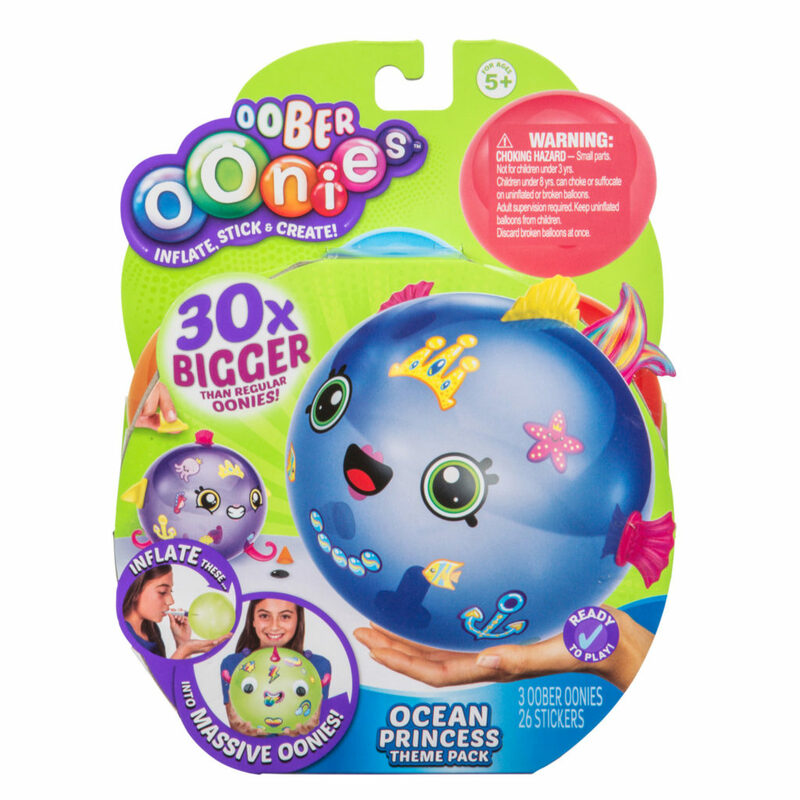 Your Oober Oonies Theme Pack comes with a take and play Oober Inflator Straw for you to inflate your Oober Oonies anywhere, anytime! The stick 'n' style accessories include googly eyes, hair, deco bits and sticker sheet so you can bring your crazy party animal creations to life!